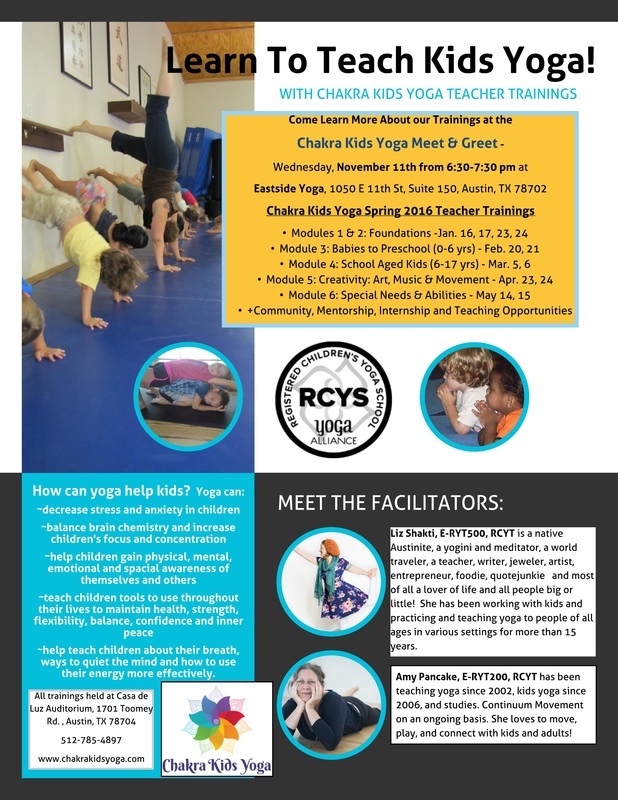 I am currently teaching yoga classes for toddlers and kids at Asian American Cultural Center, Austin International School, Sun, Moon & Stars Learning Center, Jump! Gymnastics, Little Sheep Learning Center, Austin Montessori, Thinkery, and Mariposa Montessori. 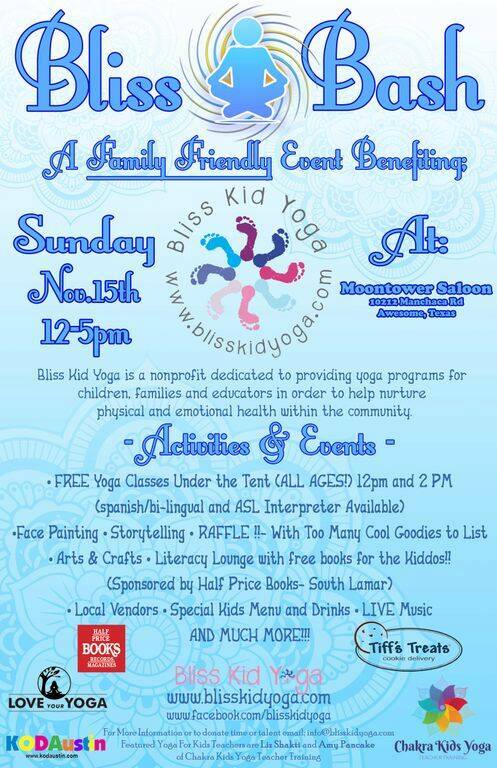 Contact me about offering yoga classes at your school, home, or event! 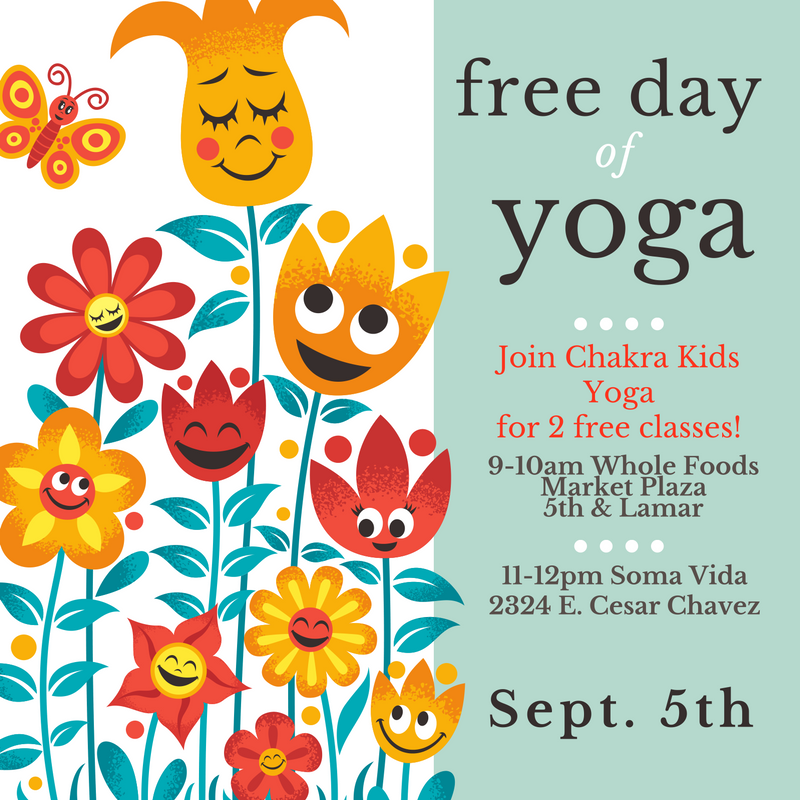 6 week drop off toddler yoga series! That's right! 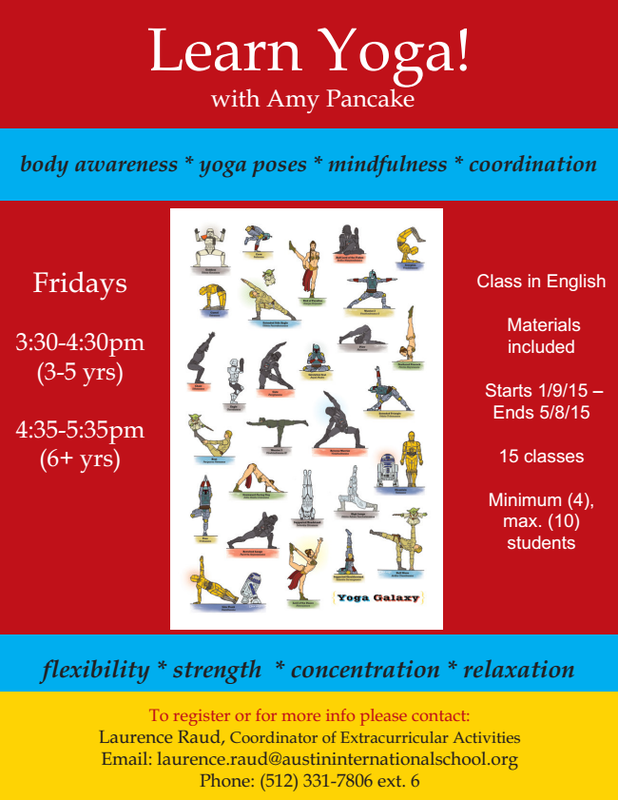 Yoga camp in Spanish! Preescolarte Spanish immersion preschool is offering kids camps in Spanish. 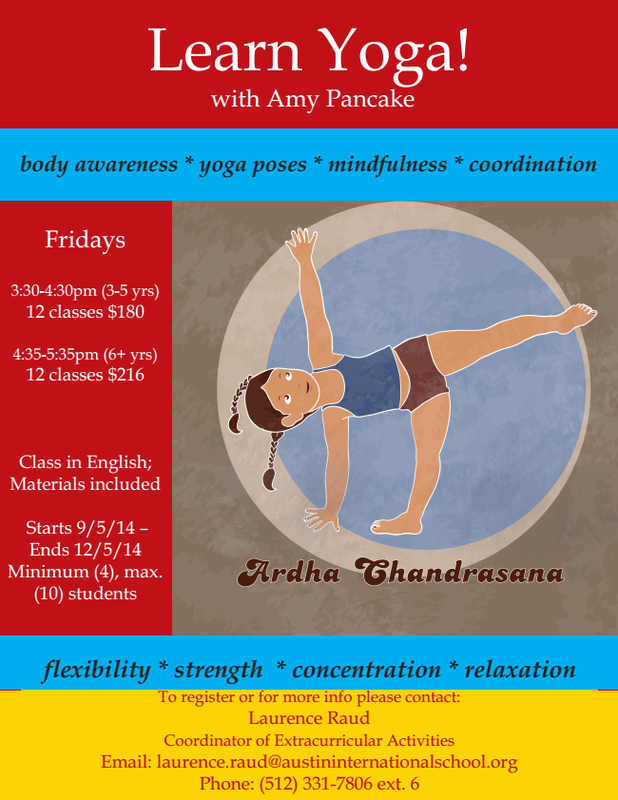 Yoga Camp will be offered the week of July 6th. Por favor, check it out for your little ones! 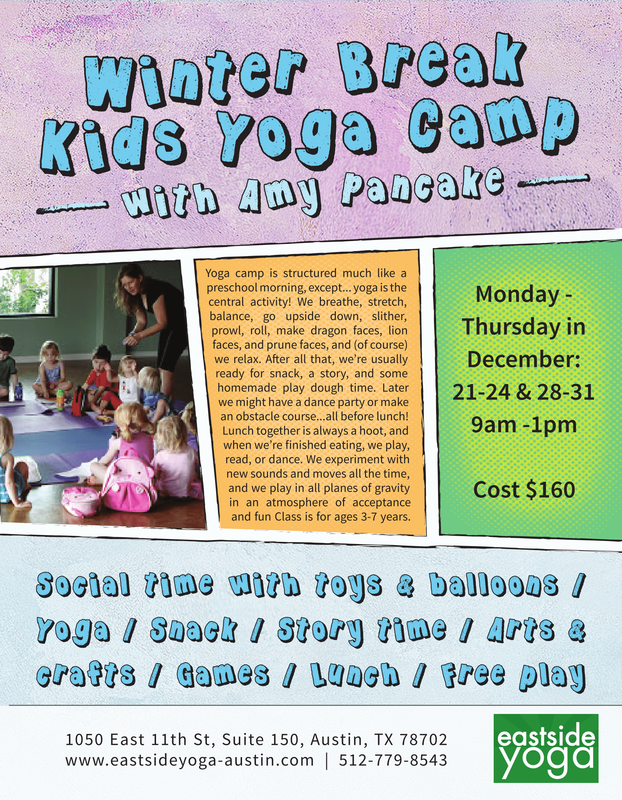 Small class, homey setting, central location, Spanish incorporated into all activities, Amy specializes in yoga for kids. If you're thinking about after school options, yoga is a great stress buster for the older kids and a very fun, silly way for the littler ones to start learning about yoga & breathing. 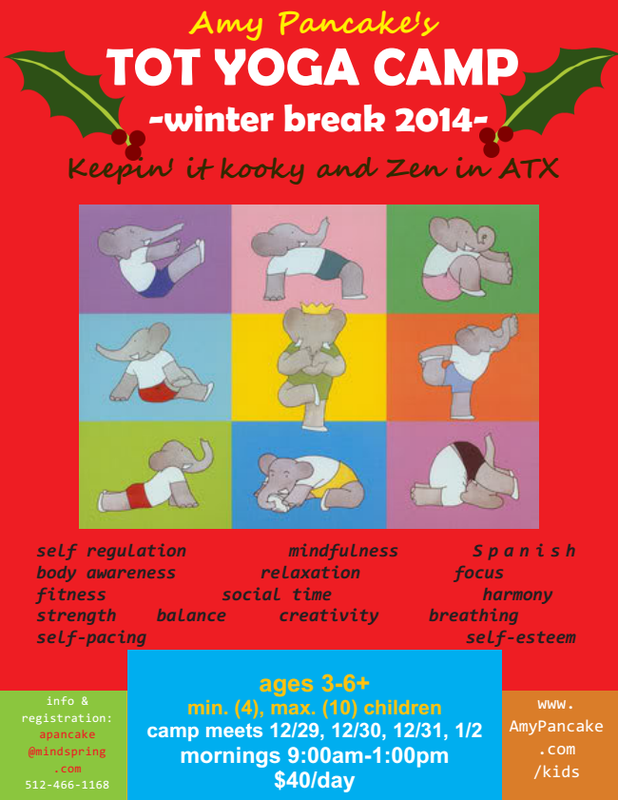 *These classes take place at Austin International School but are open to anyone for enrollment. 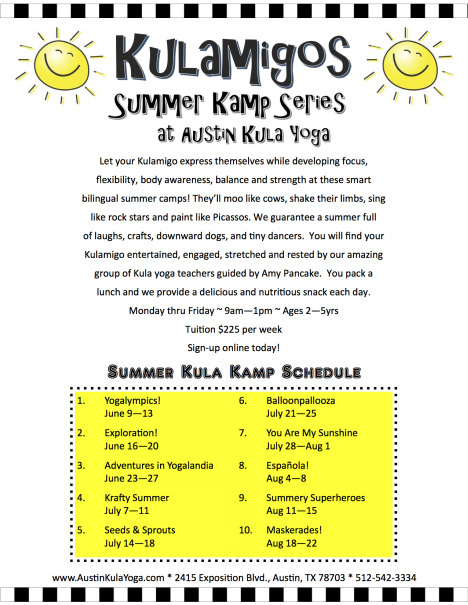 Kula and the Kula Half Pints comprise the original kids yoga program in Austin. When Kula opened its doors in 2007 one of our first priorities was to provide quality yoga classes for all ages of children (infant, toddler, young children & teens) alongside classes for adults so that parents and caregivers can take a great yoga class at the same time, and in the same building, as their little ones. We continue to offer this unique set-up and it has become an important part of many of our students’ lives. Many of our parents and caregivers report that their children’s transition into pre-school is made smooth and easy by their participation in Toddler Yoga classes and Toddler Yoga Camps (summer, school holidays) where they learn fun yoga poses and the beginnings of classroom skills such as: following verbal cues, being in a group, taking turns, getting to know a caring teacher, putting their things away, etc. For all ages of kids and teens, we provide excellent classes (some of which are bilingual) with an atmosphere that encourages helpful interaction amongst students, teachers and staff; a safe environment for self-expression; a non-competitive yet fun & challenging physical activity that can be practiced anywhere with no special equipment; an activity that can be shared with the whole family; a class that encourages creativity and self-regulation, a physical activity that promotes strength and flexibility while not incurring injuries common in many sports; a class that can be mixed age and mixed ability without hampering or pressuring any student’s performance. Special for teens! We offer an off-campus physical education program, which enables high school students to earn their physical education credits by taking yoga classes. 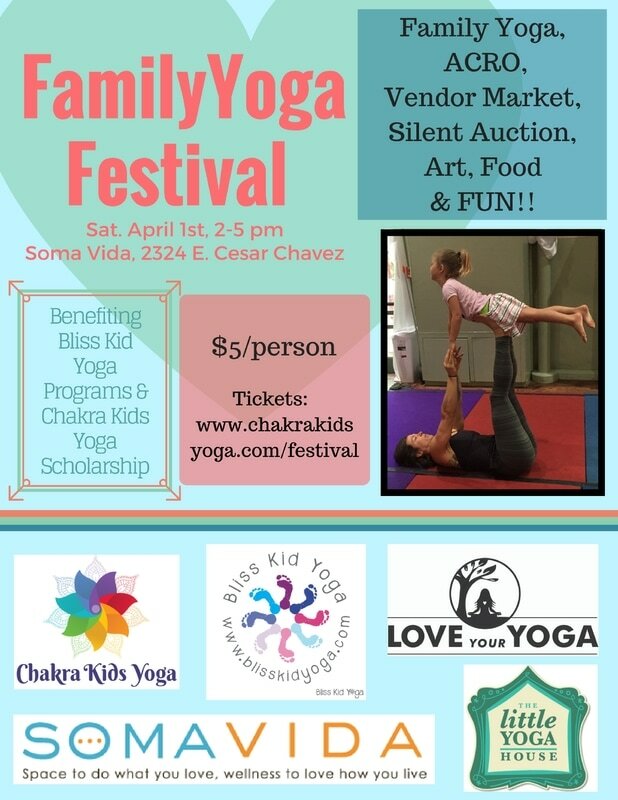 This is an incredible opportunity for students to learn much more about yoga along with the incredible experience of practicing on a regular basis where they can reap all the benefits of yoga to help them thrive in school, on the mat, and in their relationships with family, teachers, employers and themselves. Teens are also welcome in any adult level class at Kula. 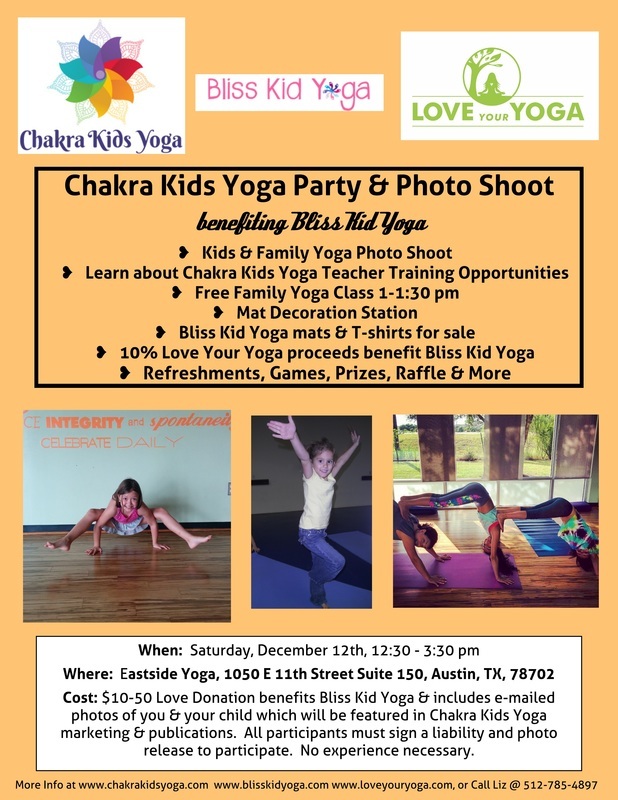 You can see what unique benefits kids yoga brings to any age group! And that’s not even counting the benefits from learning relaxation techniques!